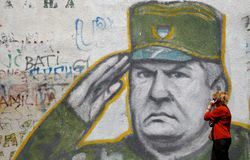 In December 2017, the International Criminal Tribunal for the former Yugoslavia (ICTY) completed its primary task of prosecuting crimes committed during the 1992-1995 Yugoslav wars. Hardly any of its decisions passed without controversies. Dissatisfaction with and public denials of the last ICTY verdicts, can be seen, however, as indication that the prosecution of war crimes left many questions regarding the establishment of transitional justice in the post-Yugoslav region still open. What have ICTY judgments achieved in terms of justice making in the former warring countries? To which extent did the ICTY verdicts contribute to a process of national and regional reconciliation? What was the role of the ICTY indictments in contesting or reproducing the dominant war narratives among the countries? Was responsibility for the committed crimes in the name of a collectivity adequately assumed? This workshop featuring speakers from academic institutions and NGOs, aims at elaborating these questions. It will focus, in particular, on specifying legal and political mechanisms of transitional justice, their moral justification and the possibilities for their application within the post-Yugoslav social and political context. Reconciliation and Acknowledgement of Responsibility?